The Rim Country is host to many beautiful wonders, not the least of which is the abundance of tall ponderosa pines standing proudly throughout the area. Nestled among some of these portions of gorgeous pines are also some of the most striking golf courses in Arizona. With clear air and mild temperatures for much of the year, the Payson area contains hidden gems for golf enthusiasts. Along with picturesque courses are magnificent homes tucked in right next to the greens. If golf is your sport and cool mountain air is your preference, Payson gladly provides both. 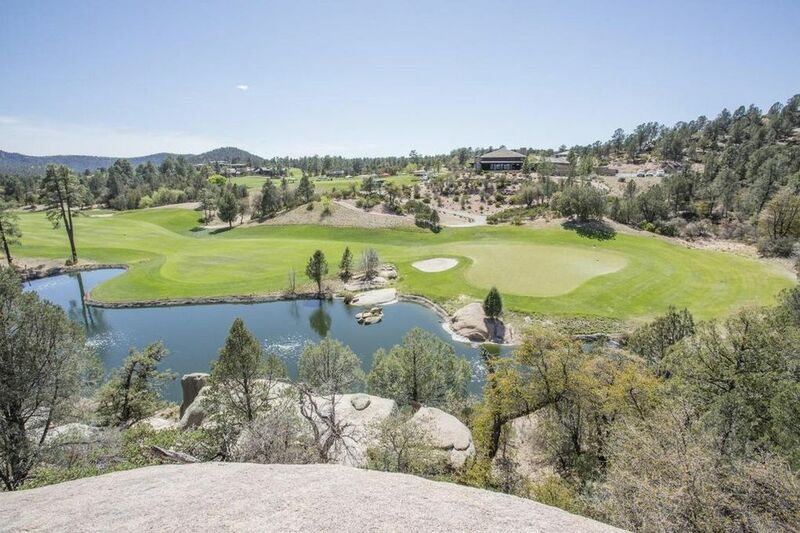 Here are a few premium options for golf course properties for those ready to take a swing into the Rim Country. Chaparral Pines is the superior location for luxury homes in Payson, Arizona. This prestigious gated community boasts a breathtaking golf course owned by Mickelson Golf Properties, a joint venture of the legendary golf partnership between Phil Mickelson and Steve Loy. Chaparral Pines website provides a page which offers a detailed analysis of each of the course’s holes (http://chaparralpines.com/golf/course-tour). Golf Digest magazine lists this course in the “Top 10 New Private Golf Courses in the U.S.” A combination of natural topography and artificial lakes make the Chaparral Pines golf experience one-of-a-kind. Undoubtedly one of the most beautiful golf courses in Payson as well as the state, The Rim Club offers a scenic golf course designed by legendary course designer Jay Morrish and professional golfer Tom Weiskopf. This course features several water hazards and plenty of natural obstacles, all at the crisp elevation of 5000 feet. In addition to a breathtaking setting for golf courses, The Rim Club also features The Mountain Spa, a luxurious venue for massage as well as having a lavish salon. There is also a tennis court, swimming pool, fitness center, and more to round out an all-in-one package within a gated community. On the west side of Payson, past the serene Green Valley Park, lies the Payson Golf Course. This lovely 18 hole course offers great views and a combination of challenge and leisure. With affordable rates and well-groomed greens, the Payson Golf Course provides a golfer’s oasis year round that is open to the public. With a handful of beautiful golf courses in the Payson area, many people search for homes near these wonderful greens. The best way to start is by contacting your real estate agent. Get them on board and brainstorm your own ideas of what you want. With many golf communities in the Rim Country vicinity, the real question is deciding where you want to locate yourself. Many other options abound for properties and homes in close proximity to the golf courses. Basically, finding the right fit for you boils down to focusing in more and more on what you need and want in a golf community. How close do you want to be to the golf course? Do you want to be right on the green or a couple minutes’ drive from the course to minimize noise and increase privacy? Does a gated community matter to you? What kinds of dining do you hope for in the area? What noise concerns might you have? Are you allergic to certain types of trees or plants? What are the three most important aspects of a home to you? Cover your bases, and your real estate agent will cover your back. Find your golf community home today and tee off! A good place to start is with a reliable real estate app. Thankfully with so many to choose from you can easily find one that caters to your specific needs. For example, United Country’s app (http://www.unitedcountry.com/iphone.htm) allows you to search the U.S. for “countryside” style listings under the slogan “Rural Real Estate at Your Fingertips”. There are many such apps out there ready to assist you in your specific house hunt. The most common advice anyone will give for finding a good real estate agent is asking friends and family about their own experiences. Have your friends tell their friends what kind of home you are searching for to widen your net. By far the most effective method of finding the right real estate agent for you is through research. The more you narrow down your needs the better. If horse property is important, for instance, this will allow you to focus your parameters more efficiently on a real estate app. For a real estate agent, find out if they have at least a few sales under their belt for the type of house you want. If that information is not available on their website, make a meeting and ask them directly. Okay, we’ve covered some ways to do your own rural house searching, now let’s look at some of the prime areas around Payson for these kinds of homes. Situated 15 miles north of Payson, the cozy town of Pine is tucked into a dense ponderosa forest. While you will most likely go to Payson for your major grocery runs, Pine has a convenient little market as well as several delicious eateries. They even have a farmer’s market with loads of fresh produce and handmade gifts. With plenty of housing developments branching off every direction, this quaint town is only a 20 minute commute to Payson through gorgeous scenery. Just a two mile jaunt north of Pine is an even smaller town called Strawberry. The surrounding area is dotted with fantastic homes nestled away from the rest of the world. Enjoy the peace and quiet of the woods while being in close proximity to your work and shopping needs. About 17 miles east of Payson, Christopher Creek boasts one of the most beautiful locations in the Rim Country. A 25 minute, scenic drive down East Highway 260 takes you into the core of what makes the Payson area special. Thick evergreen forests and mountain vistas greet you as soon as you begin your commute. The seasonal Christopher Creek Lodge has scrumptious food and great views. Explore any random road in the area and you will find woodsy communities filled with cabins, a-frames, and even luxury homes to suit your taste. 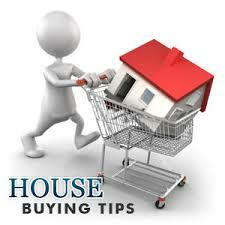 There are as many things to consider when buying a house as there are tips offered on the subject. 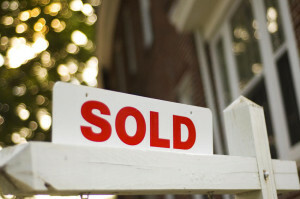 For first-time home buyers, this topic seems to multiply with each new issue that arises. Like learning anything, the more information you can find the better prepared you will be for your house hunting experience. Here are a couple of useful pointers that can make a big difference in your ultimate home purchase. This might seem ridiculous because we all know what we want in a house, right? Well, we probably do on the surface. The most essential elements of a house are probably in the forefront of our minds already, but the annoyances that can cause regret are usually discovered too late. Hindsight isn’t useful when we’ve already made that down payment. Knowing your house needs in more depth can avoid this pitfall. Take a moment to visualize what a great day in your future house looks like. What things do you do at home on a daily basis? How much room do you need in a home office? Do you need space in your yard for outdoor projects? Another consideration are stores or services that you like. How important is the proximity of these businesses? A good house should match your lifestyle. Identify your core needs and wants in a home and start looking for places that align with those elements. If you feel like you are honing in on the house of your dreams, pay attention to your spending. Not only is it a good idea to save up some money for those unforeseen expenses that creep up after moving in to a new home, but there is also the down payment and your credit to consider. Making a large purchase such as a new car can affect your credit score in ways that aren’t favorable to your future mortgage payments. Hold off on starting an auto loan until you’ve completed your house purchase. The other advantage to giving your credit score breathing space prior to home buying is flexibility with your down payment. You may have a number of options for this expense and having a little more cash on hand will alleviate the pressure of what could be limited choices. There are a variety of down payment calculators available online and using them can help you have a clearer idea where you stand when buying a home. You are ready to sell your first house. This task can seem very intimidating at first but following these three selling tips will make this event much easier. #1 – Price is Right – You have heard of the “Price is Right”, haven’t you? Well, it is extremely important to price your house at the right price at the beginning. If you put your house on the real estate market and it is overpriced, it will sit there for many months without receiving any offers. If you are unsure of what amount to ask for your home, simply consult your real estate agent and they can help you determine the right price for your house. #2 – Be Flexible – Along the same lines, you will want to remain flexible when working with potential home buyers. Buyers in today’s market can be rather impatience, so if you are too difficult to work with they will just move on to the next house they like and work with a more flexible seller. #3 – Senses & Staging – When it is time to sell your home and you will be having showings as well as open houses, remember that buyers use their senses when touring homes for sale in Payson, AZ. They typically use sight, sound, smell, and touch. Bad smells in a home can really send potential buyers running out the front door. Open windows before showings to air out the room and if you have a cat, clean the litter box. Some fresh flowers on the table or lite a pleasant smelling candle is always a great idea. During showings and your open house, have some soothing music playing in the background. Also, place some throw pillows which are soft to the touch or have a nice texture on couches and chairs. When staging your home to sell, remember to remove the clutter and excess from your home. A good rule of thumb is to remove two-thirds of your belongings, including clothes and furniture, can really make your home appear larger. So, you are in the market to buy a new home. Keep these 5 secrets in mind while you are preparing to make your home purchase. #1 – Don’t Move Your Money Around – You want to keep your money where it is right now three to six months before you are planning on buying a home. You don’t want to make any other large purchases. Don’t open any new credit cards or make large ticket purchases because this can make it more difficult to qualify for a home loan. #2 – Get Pre-Approved Now – It will save you time looking at only homes that you know you are pre-approved to purchase. Being pre-approved for a home loan means you have taken that extra step past just being pre-qualified and that a lender has actually looked thru all your information and determined how much money they will lend you for a home and how much house you can actually afford. #3 – Get it Inspected – Once you have picked a home you are generally interested in, you will want to get it inspected by a home inspector. The home inspector will give you their opinion of any issues with the home that you can then ask the seller to fix prior to purchasing the home or use as leverage to lower the home’s selling price. #4 – Check Out the “Hood” – Before buying a home in an unfamiliar neighborhood, it is wise to visit the neighborhood at varies times of the day. You may find out something that you don’t want to have to life with and it’s certainly better to find out before you buy your home. #5 – Don’t Buy the Biggest – When buying a house you want to keep re-selling it in mind. And most people don’t want to buy the “biggest” house in the neighborhood. So neither should you. Homes only go up in value as the ones around it so it’s almost better to buy a low to medium desired house and make it better to get the best return on your investment.